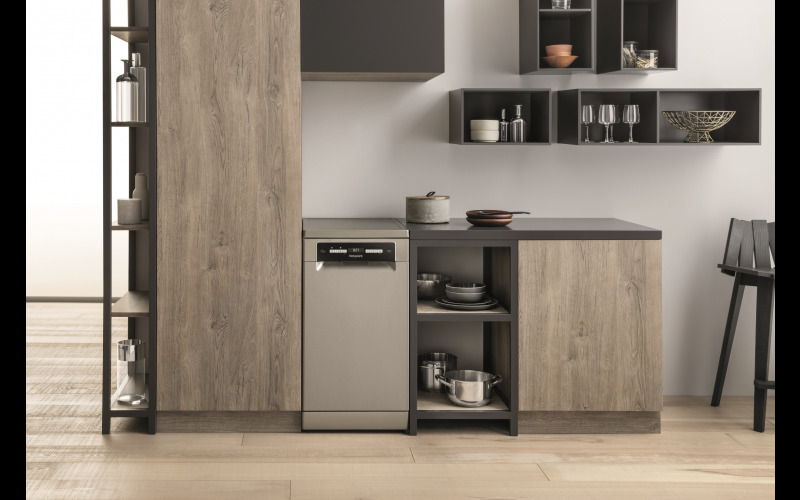 We have teamed up with Hotpoint to offer two lucky readers the chance to win a freestanding Hotpoint slimline dishwasher, which features Hotpoint’s ground-breaking 3D Zone Wash technology. Having a smaller kitchen no longer means you have to compromise on performance. The Hotpoint slimline dishwasher measures just 450 mm wide, the same width as a tea towel, so it is easier to fit one into a compact kitchen space. Despite its size, the dishwasher is packed full of advanced innovations. It holds a handy 10 place settings to fit your everyday needs and boasts nine programmes, including Delicates and an Express 30′ cycle, to suit all families and occasions. 3D Zone Wash technology delivers breakthrough performance thanks to three additional spray components, alongside Hotpoint’s most advanced motor yet, to efficiently remove stubborn baked-on food without increasing water consumption. What’s more, 3D Zone Wash technology allows you to select either a 40 per cent increase in performance*, or a 40 per cent increase in energy efficiency** – tailoring the appliance’s use to your individual needs and preferences. With an impressive ‘A++’ energy rating, the Hotpoint dishwasher keeps those utility bills in check. In addition, the dishwasher boasts flexible loading options so you can load the dishwasher exactly the way you want. Enter now for the chance to win a brand new slimline dishwasher from Hotpoint, which will care for what you value most, offering excellent cleaning results and striking performance.